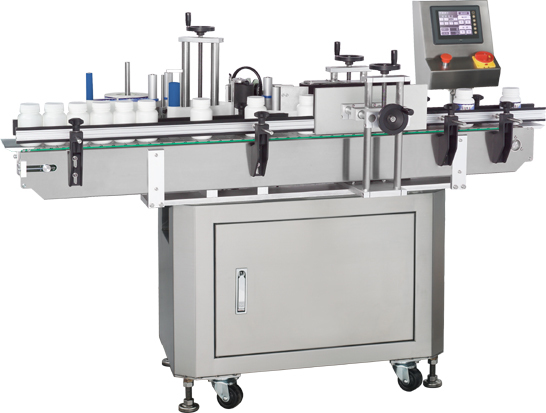 KTN sticker labeling machine is well-designed labeling machine with integration of mechanical and electrical systems; it features with advanced design, simple structure, easy operation, stable production, etc., the control system is controlled by PLC with preset program, with optical signals eye marking, optical signals automatic label checking, place bottle detection and other functions. It could be used for cylindrical straight tube labeling bottles and plastic bottles, so it is not only best choice for the small and medium sized pharmaceutical production facility, but also ideal equipment for pharmaceutical, food and chemical industries. 4) No bottle, no label, label break down, machine automatic shut down.